Propack 5 Pound oblong AluminumContainers With Foil Lids Combo Pack Of 4 Food Storage Containers & 4 Lids Great Deal for food packaging that is convenient; this affordable 8 piece set of 4 durable 5 Pound Capacity Oblong Aluminum Trays and 4 Flat Foil Lids by Propack is essential for leftovers, picnics, freezing, food gifting, and food service! 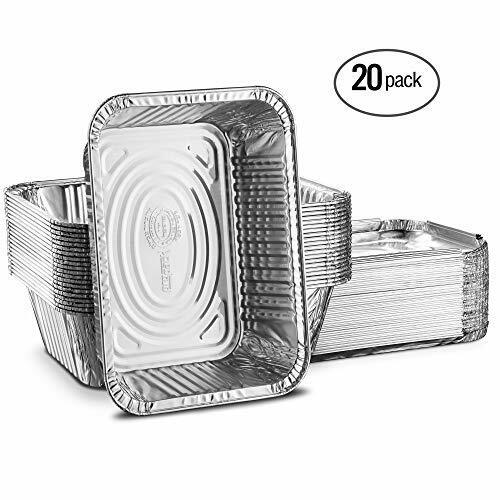 INCLUDED LIDS FOR QUICK MEAL PREP - Meal prepping can be an all day event, but securing your foil container is a cinch! 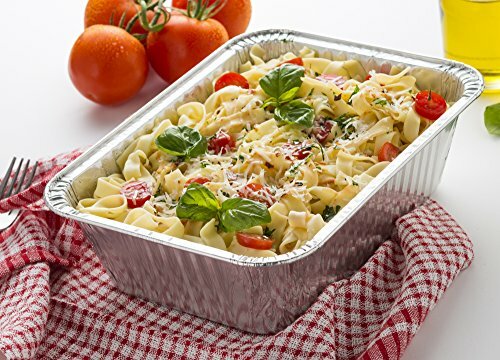 Our disposable aluminum pans feature closeable hemmed edges on the lids that quickly seal the pan and the lids tightly that the food will stay fresh. 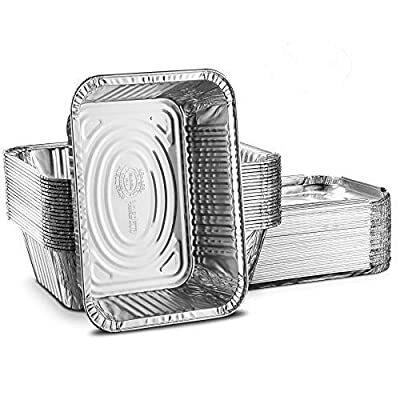 CONVENIENTLY REUSABLE & DISPOSABLE - Aluminum take-out containers allow you to cook bake and serve all in the same oven and freezer safe foil pan! 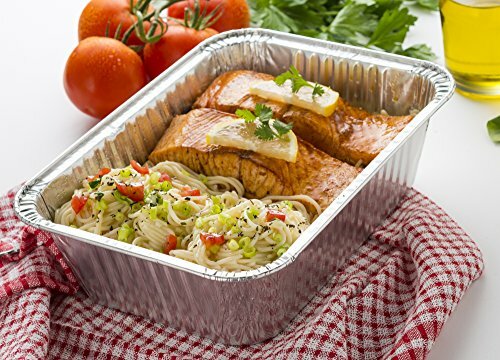 What's more, you can send guests home with leftovers without worrying about getting your aluminum tray back! Dispose of the foil packaging when you don't feel like cleaning, or easily hand wash and use them later as they are reusable! KEEP FOOD FRESH LONGER - Promote your restaurant or catering business by serving your take-away foods in almost dine in condition! This set of to go containers will ensure that entrees and appetizers stay hot until your customers get home. 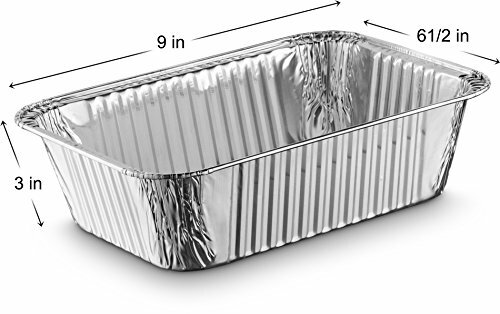 Even better, they can quickly reheat their food by placing the foil tray right in the oven!